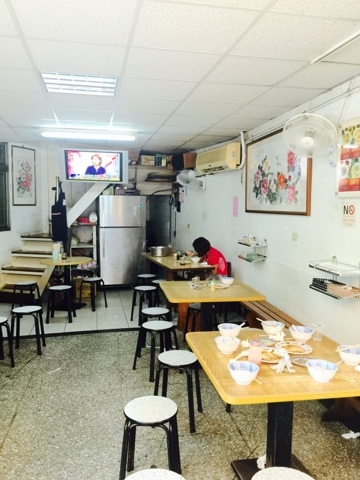 If you want to eat like a local in Taipei, a bowl of mifun tang 米粉湯 (rice noodle soup) isn't a bad place to start. 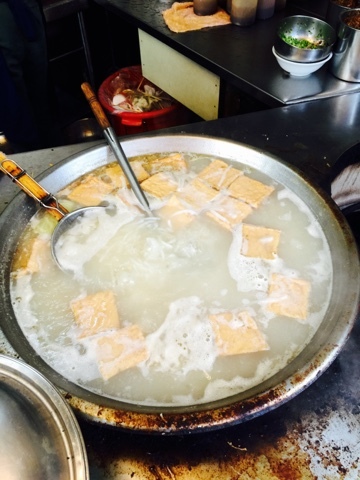 A sign that a place serves mifun tang (besides the characters in Chinese) is the huge vat of boiling tofu and noodles at the front like the one at San He Mifun Tang. 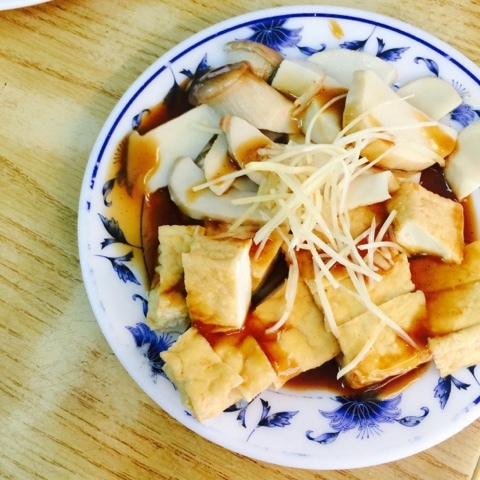 Pair it with a plate of mushrooms, tofu, pork belly, seaweed, offal and bamboo, you are good to go for less than NT$200. Even though I've lived here for so long, I usually don't go to local shops like this because I don't know what to order. 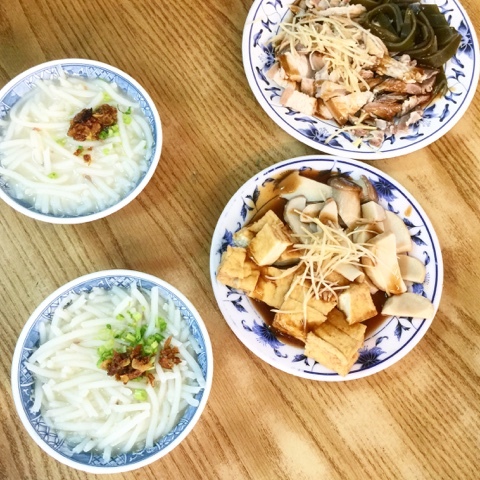 Luckily, I tagged along with some friends on this day and they did all the ordering and it was one of the better bowls of rice noodle soups that I've had in awhile (better than the bowl at Keelung night market and just as good as the one at Tonghua Night market.) 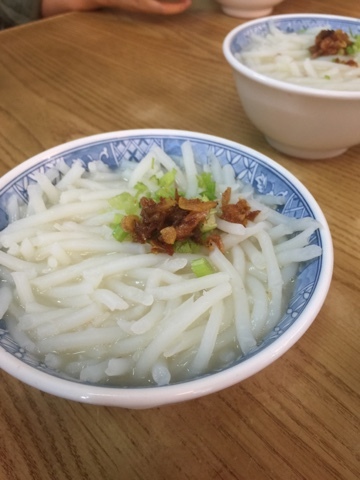 Because the broth is clear, it doesn't look as flavorful as the more well known beef noodle soup or the popular Ah Chung flour rice noodles in Ximending, but don't be deceived. 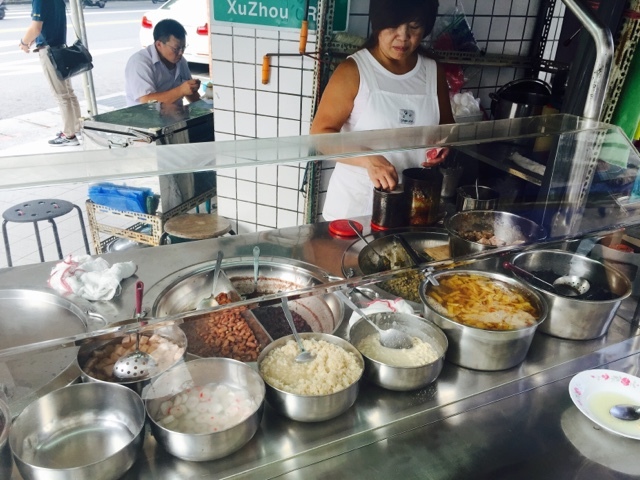 A hot bowl of fat, slippery rice noodles has a broth that rivals any ramen broth you'd slurp in its umami for only NT$25. 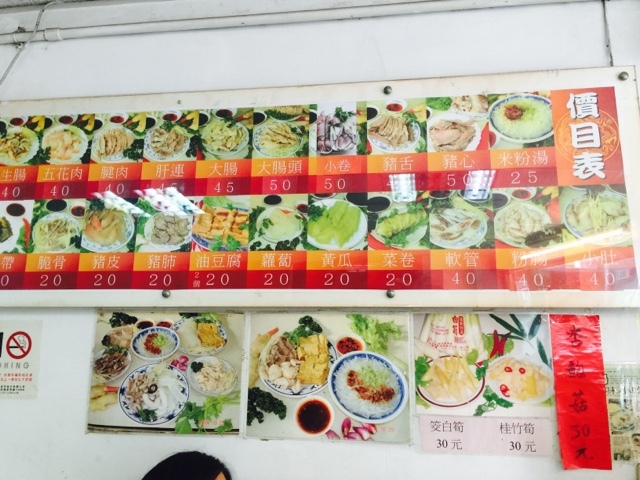 A photo menu is always a helpful reference. I shared a bowl with a friend, and the restaurant kindly gave us a bowl filled with extra broth rather than an empty bowl. 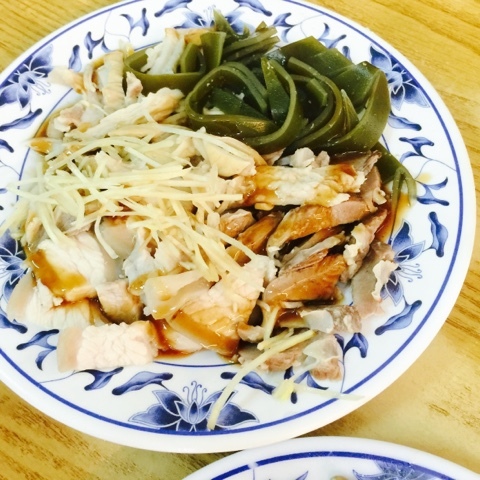 Sometimes some places overcook their rice noodles, but I found the texture here just right. 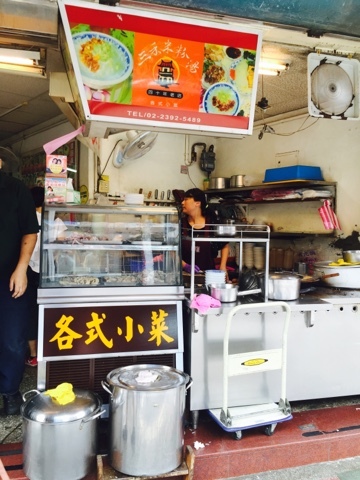 Pork belly (NT$40), chicken heart (NT$50) and seaweed. I liked all the side dishes we ordered and would order them all again. These three plates were shared between 6 people. 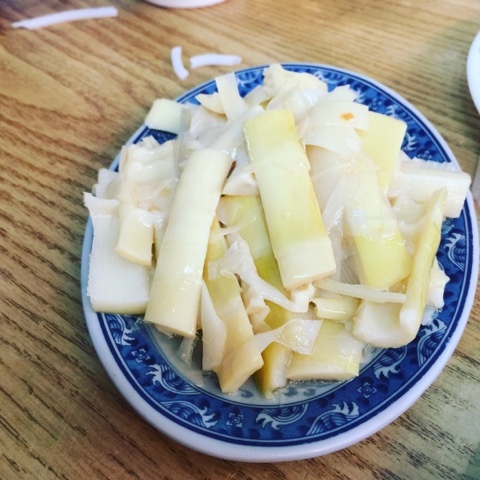 Fresh Bamboo (NT$30) is always a favorite side dish. 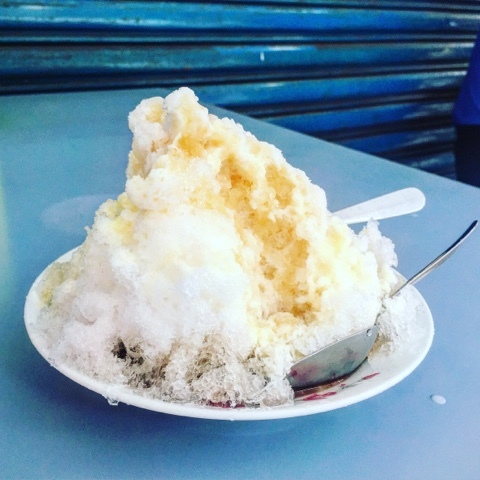 Generous with the condensed milk and we polished off the shaved ice before it melted. 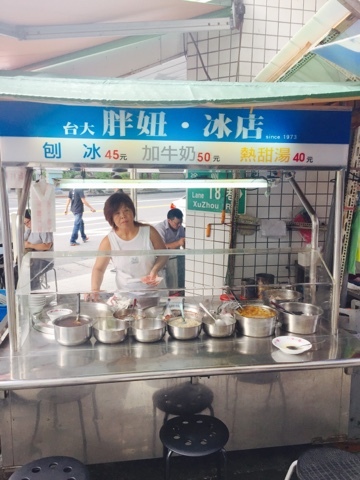 If you're staying at/near the Sheraton Hotel or near NTU, you can come look for this corner at XuZhou Road. So good. Can't beat it. For this price, you could have two bowls. Looks like a nice place and the photo menu is a big help. 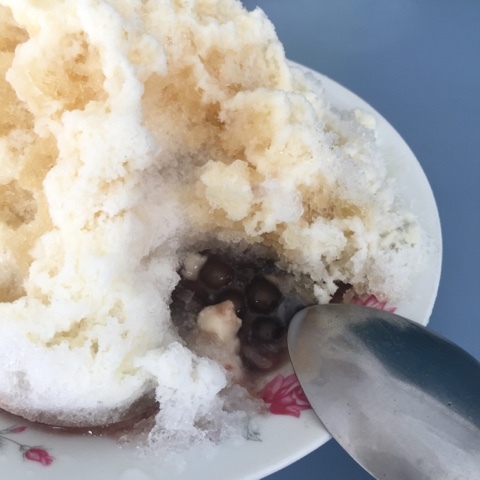 @joan - was there over the weekend but it was so hot that we didn't check out the mifun but the shaved ice was awesome. not too sweet so it was very refreshing on such a warm day.